We’ve already reviewed the FAQ extension by aheadWorks and now it’s time to draw your attention to the corresponding solution by Magestore. The module provides a great opportunity to build a comprehensive knowledge base that will provide store visitors with 24/7 support. 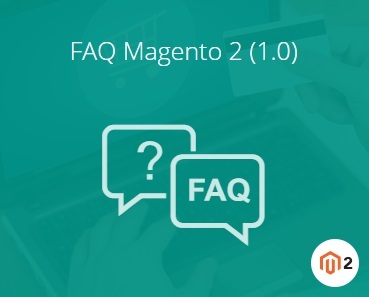 Below, we describe how the Magestore FAQ Magento 2 extension works from the perspective of both store admins and visitors. You can see the description of Magestore FAQ below. 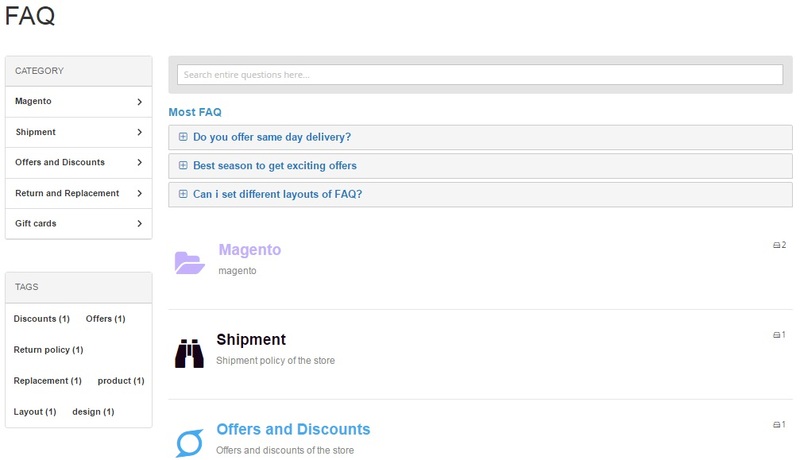 The Magestore FAQ extension allows you to create an unlimited number of categories and topics for your Q&A section. For better navigation, the module provides the ability to search answers on the basis of content, keywords, and tags. 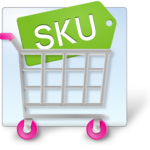 The most popular topics can be displayed on FAQ page as well as on various catalog listing pages. 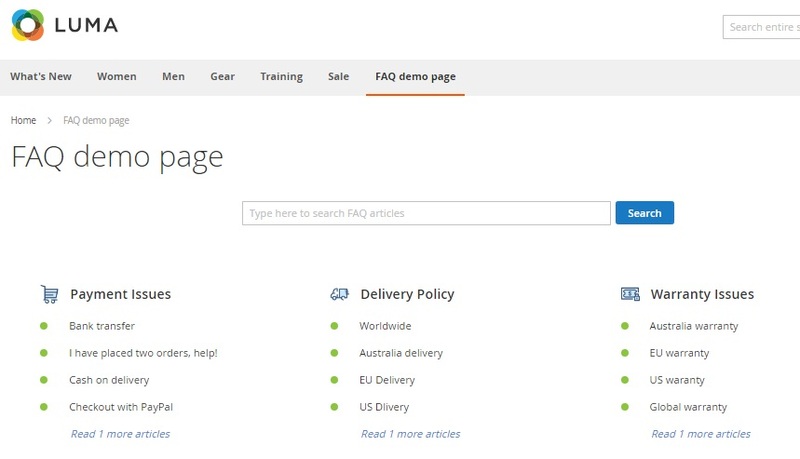 Also, note that the FAQ Magento 2 extension is SEO-friendly because it allows you to use direct links for main landing page and individual Q&As as well as meta info to each answer. Note that it is possible to optimize the FAQ content with the help of both meta keywords and descriptions. Let’s figure out how the Magestore FAQ module is constructed from the perspective of a backend administrator. The Backend is divided into 3 sections: Manage FAQ, Manage Category, and Settings. 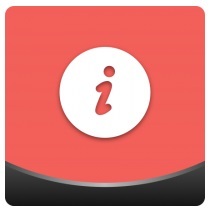 The FAQ manager contains a grid with FAQ ID, title, category, URL key, sort order, and status. You can edit each answer separately or apply mass actions (delete or change status). 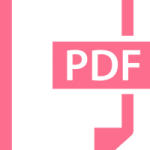 While adding a new FAQ, you will face two tabs: General and Meta Information. 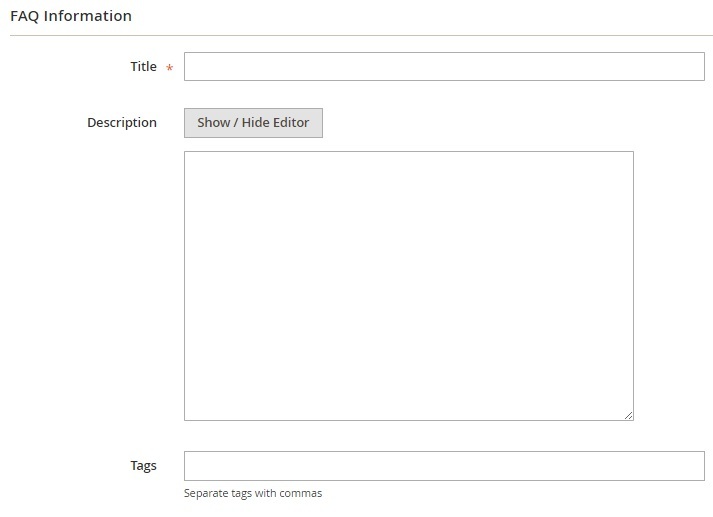 The first one allows you to add title, description, and tags. Next, you select a category, add URL key, activate the Most Frequently feature, specify a sort order, and choose status. In Meta Information, the Magestore FAQ module provides the ability to add meta keywords and description. As for the Category Manager, it provides a grid that shows such data as category ID, name, sort order, and status. Each category can be edited separately. As for mass actions, you can delete or change status in bulk. To add a new category, specify its name, sort order, and status. 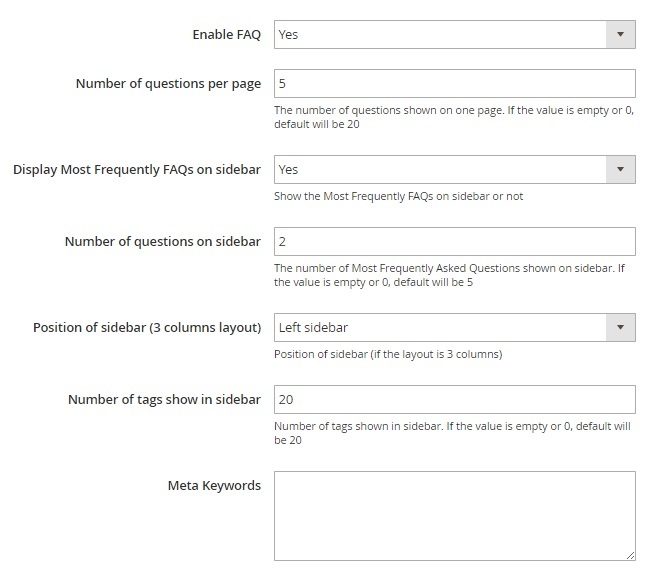 In Settings, you enable/disable the extension on the frontend, specify the number of questions per page, activate the most frequent FAQs for a sidebar and choose their maximum number, sidebar position, and a number of tags, as well as add meta keywords and descriptions. You chose a topic and appropriate Q&As are displayed on the right. Besides, there is a section with popular tags. Hit on a question and you will get an answer. 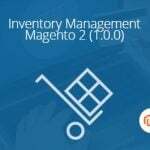 Alternatively, the Magestore FAQ Magento 2 extension provides the ability to click on tags to display corresponding questions or use search. 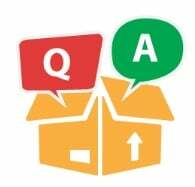 A reliable FAQ section will help you save customers who are willing to find out more information about your website and products but can’t do this in case of default Magento. Luckily, you can always install the Magestore FAQ extension. This module has an intuitive backend interface and a self-explanatory frontend appearance, so visitors can easily find out everything they need (of course, if you provide enough information). As for the price, the Magestore FAQ Magento 2 module costs $199, while its predecessor can be purchased for only $99.